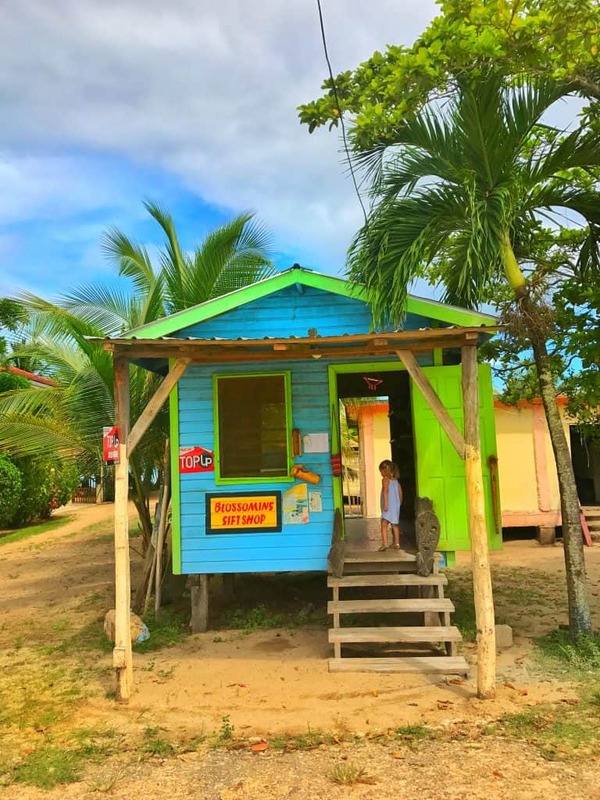 We have been in Belize for over two weeks and made our second to last stop in the village of Hopkins. It’s a very small town that had a strong Garifuna influence. Thats one thing that surprised me about Belize, there are so many different ethnic influences throughout the country. It made it really interesting! Whilst in Hopkins, we stayed in the appropriately named, Belizean Dreams. 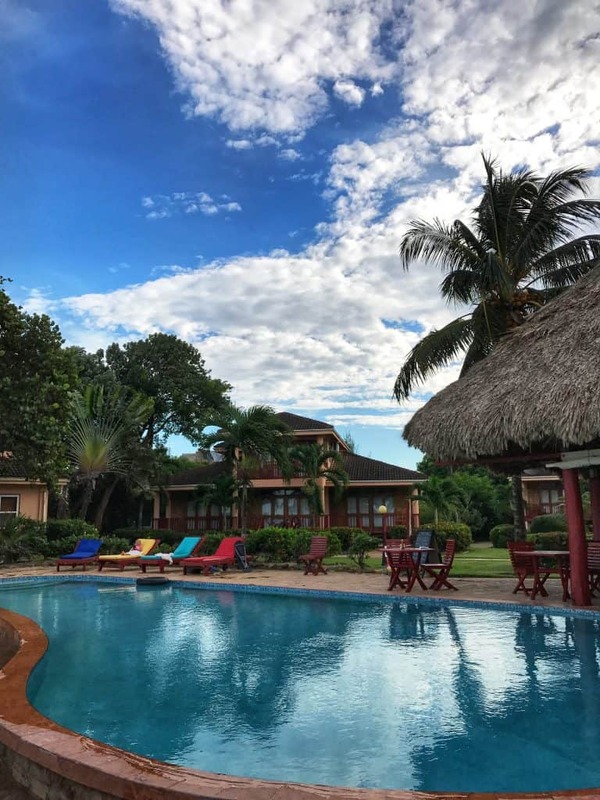 This beachfront resort is perfect for young families, especially as there are so many activities onsite and they provide a lot of assistance with excursions. 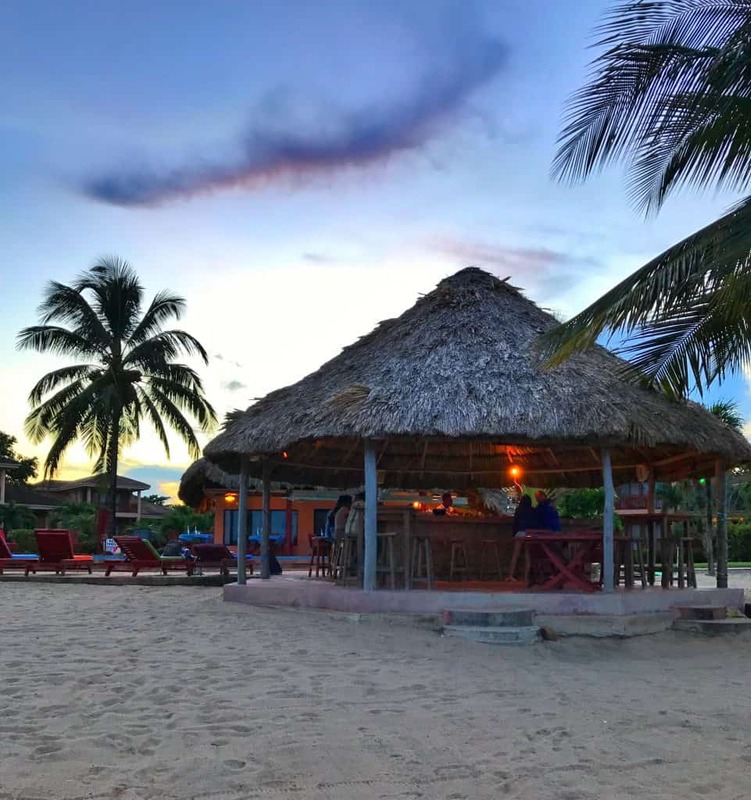 Its just a few minutes from the main part of Hopkins and easily accessible to many popular Belizean tourist spots. In particular, its close to some incredible diving spots, as well as Bocawina National Park, home to beautiful waterfalls and caves. It Is a great base to see things. 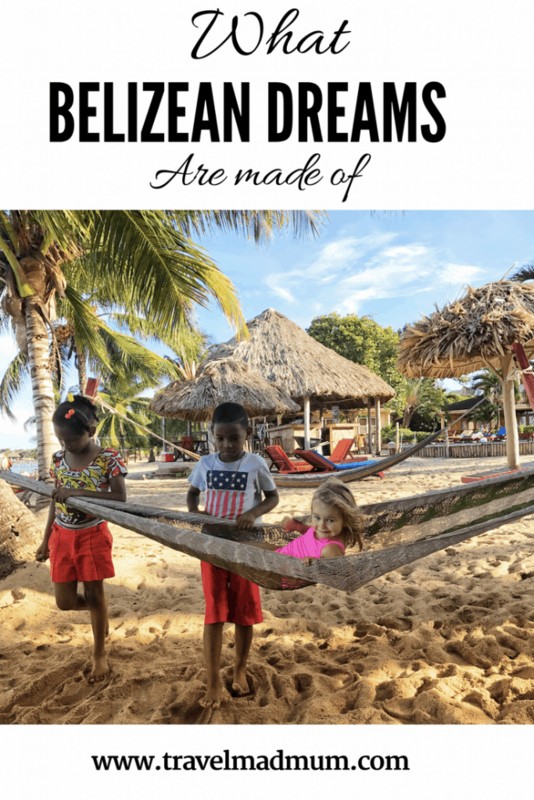 In our usual format, here is our play, sleep and eat review of Belizean Dreams. 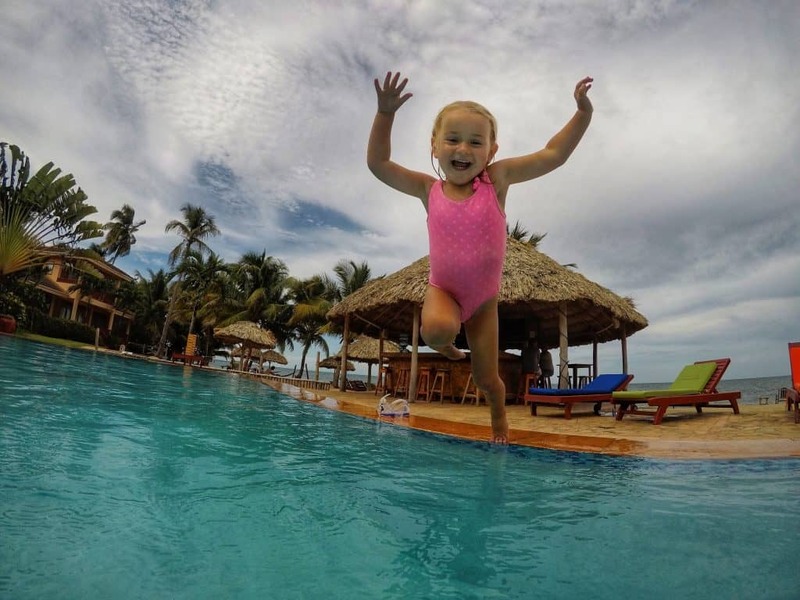 This resort have the family at heart when it comes to activities and keeping little ones entertained. Everything is based around the pool. There are a number of games that both kids and adults can enjoy. Beach volley ball, jenga and corn hole to name a few. There is no specific kids pool but it had a shallower end and our little one could stand up in it safely. Just a few steps past the pool is the beach. Again they had plenty of kayaks and stand up paddle boards for guests to use. Our little one loved going for a little row, row, row your boat, just off the beach! I generally watched from one of the relaxing hammock’s on the beach and did a little more rock a bye baby. I always find it difficult to get out and about when we are staying at resorts. However, that wasn’t the case whilst we were staying at Belizean Dreams. They had affordable golf cart and push bike rentals available. We used the buggy to explore Hopkins, it was a nice way of doing it. The road conditions are not so good in the surrounding area so its important to be really careful with pot holes. 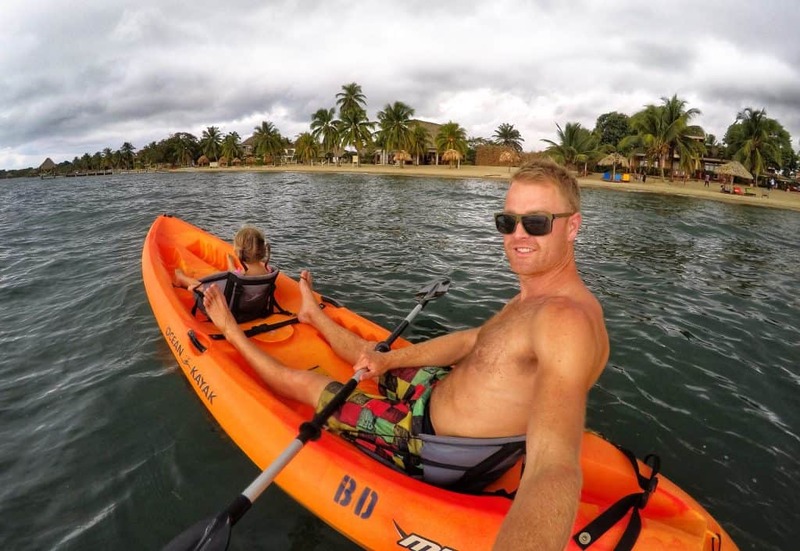 The resort also run daily group excursions. Wether it’s a trip to the caves and zip lining or an island hopping adventure, all of the information is on the board at reception. The group excursions only run Monday to Friday, but they have private ones on the weekend. 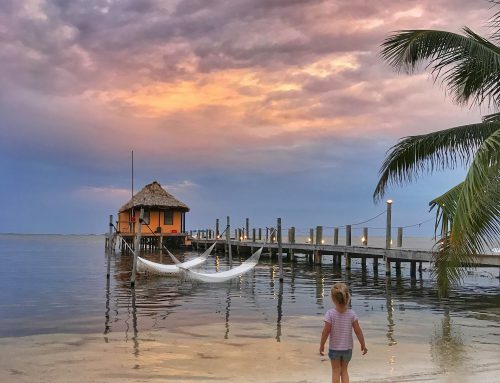 We stayed at Belizean Dreams Saturday to Tuesday. The Monday excursion wasn’t suitable for our aged children. Therefore we could only do the Tuesday one. That said, there are plenty to choose from on the other days. We organised a morning activity for ourselves at the local Garifuna Drumming Centre. We had a brief drumming lesson, followed by an awesome performance. It’s definitely something worth doing if you like cultural experiences. Our family of four were the only ones on the island hopping tour. We were picked up in a boat from the beachfront. It had a big canope so it was perfect for shading the kids. We met at 9am and headed to some snorkelling spots about half an hour away. 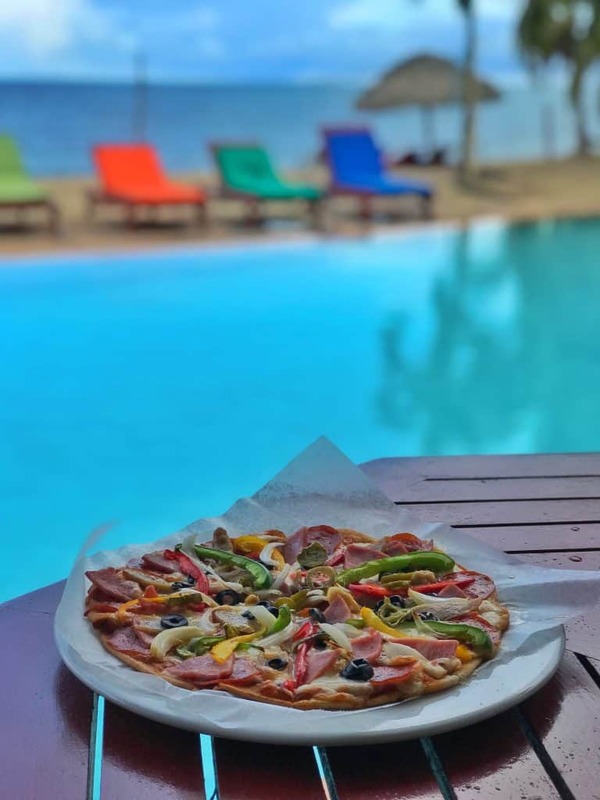 It was close Belizean Dreams sister resort, Coco Plum. 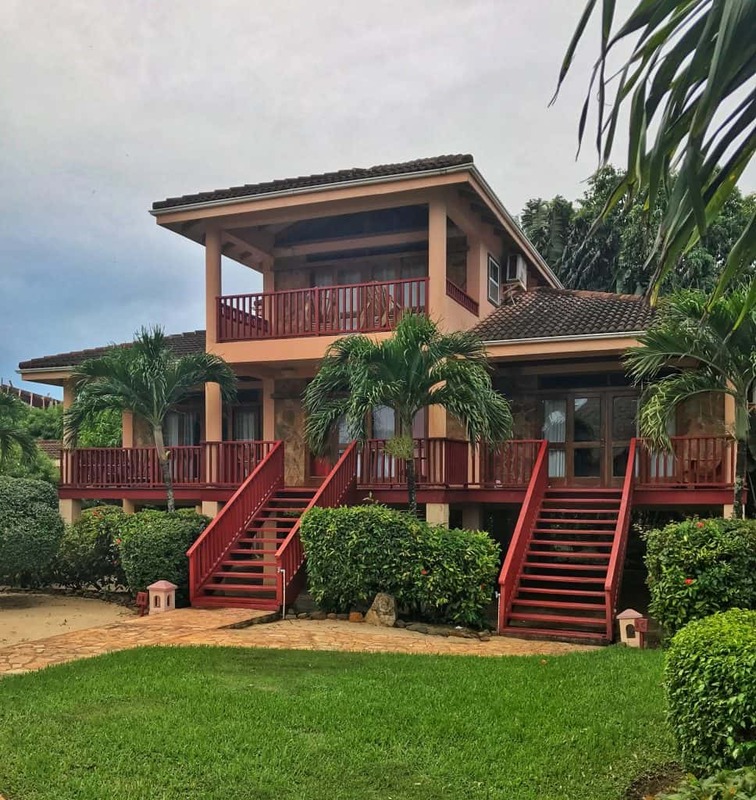 Coco Plum is on its own little sand island with palm trees and a tropical beach. It’s quite literally paradise. After a morning of snorkelling and checking out some of the islands, we had lunch at Coco Plum. To say ‘lunch with a view’ is an understatement! We had fish and chips at the edge of the ocean, lounging on a comfortable sofa. Our little girl was playing with the staff. The only problem came when it was time to go home! There are several large villa style rooms on the resort. Despite being at the back, we had sea views. It was so picturesque at sunrise. We had a large deck with two comfortable lounge chairs to hang out and watch the sky light up. We had a massive four post king bed with decorative drapes. The high ceilings with wooden beams and large sliding doors gave the room a light and airy feel. There was so much room for all four of us, even though we were also using the pull out bed for our daughter. The room was fully equipped with a TV, fridge-freezer, microwave and a coffee filter. We were always a comfortable temperature with the in room AC and fans. I really loved the bathroom, it had a rustic decorations as well as his and her sinks. The restaurant on site had an A La Carte menu for breakfast lunch and dinner. Most guests dined at the pool side, although there was also tables inside the air conditioned restaurant. The menu was inspired by the many Belizean cultural groups and had flavours and dishes from each. For breakfast they had a variety of options. 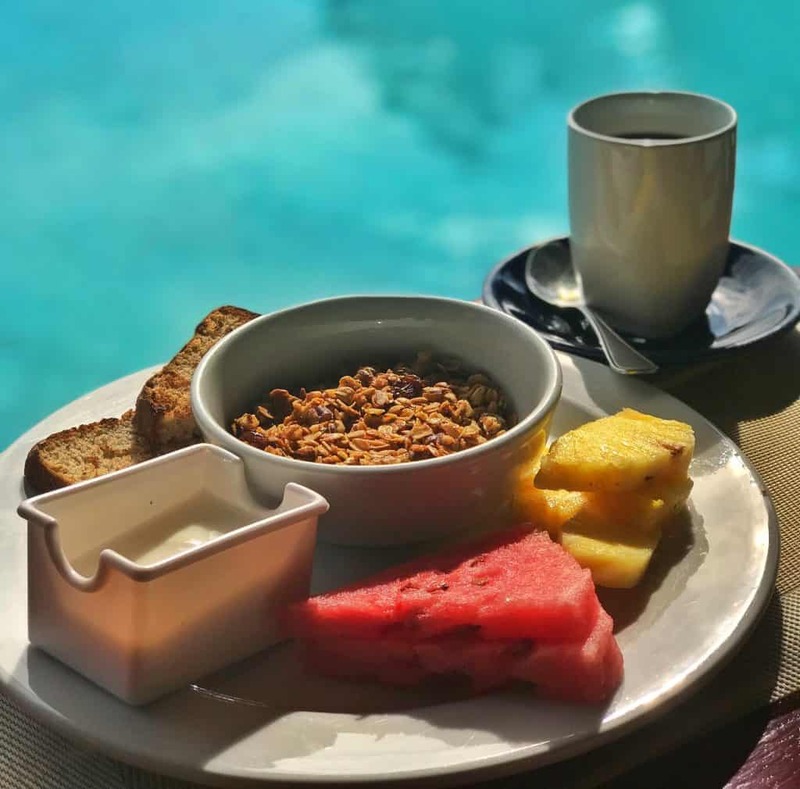 We loved the healthy start of fresh seasonal fruit and granola with yoghurt. The lunch menu had a mixture of options. One of my favourites was the seafood pizza. There was also a bar snacks menu incase we were feeling peckish between meals. They had nachos, chips, dip and so on. At night, time the dining tables were made pretty with candles and nice table cloths. They always had a specials menu that was shared on the restaurants blackboard in the late afternoon. It would get us thinking and excited for dinner. I found the waiting staff really engaging and friendly. They were always chatty and interested in us. We definitely had a soft spot for them and we were a little sad to leave. 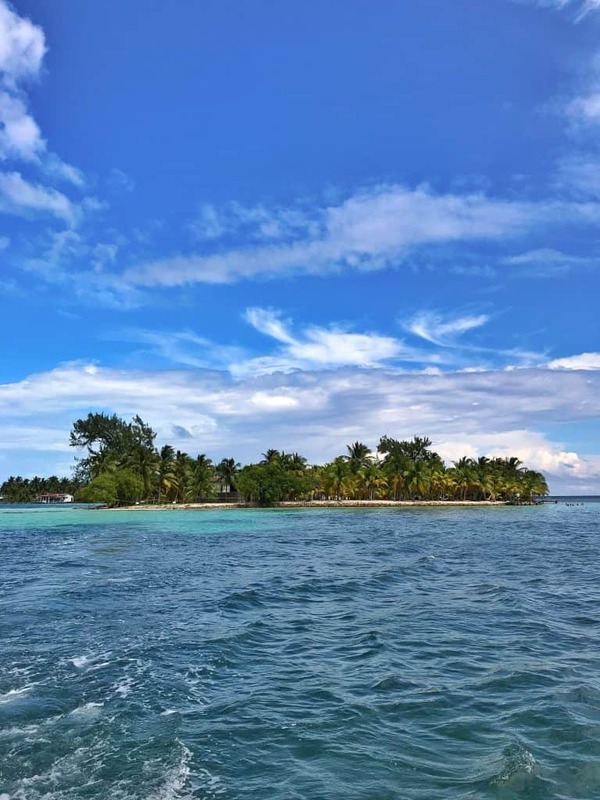 To read some of our other blogs from Belize, click here. 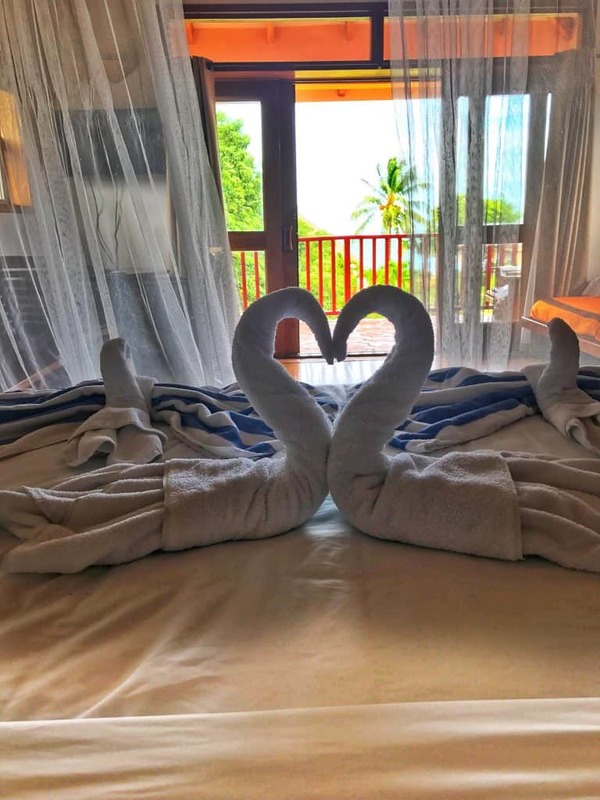 Disclaimer: Our stay at Belizean Dreams was provided complimentary in return for a written review. As always, all views expressed are entirely our own.